The Global Volcanism Program has no activity reports for Chingo. The Global Volcanism Program has no Weekly Reports available for Chingo. The Global Volcanism Program has no Bulletin Reports available for Chingo. Volcán Chingo is a symmetrical stratovolcano that straddles the Guatemala/El Salvador border. A shallow, oval-shaped summit crater is breached on the W side. Other small stratovolcanoes and cinder cones are located on both sides of the volcano along a major N-S-trending fault. 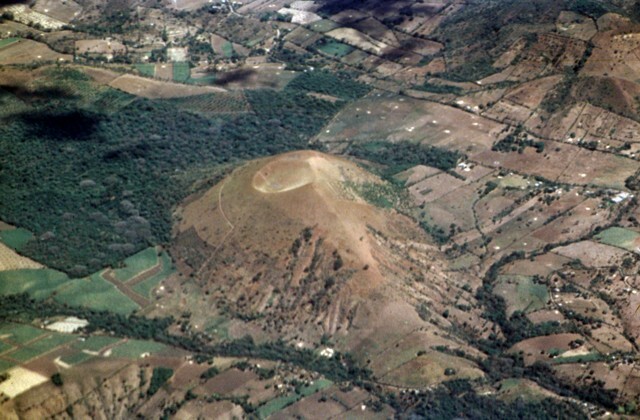 Youthful cones, such as Cerro de Olla, lie across the Salvadorian border to the S. To the N in Guatemala, Volcán las Viboras, a cinder cone that caps a basaltic shield volcano, is the most prominent of several fault-controlled cones near Laguna Atescatempo. Flank fissures have fed many youthful lava flows, particularly on the W flank of Chingo and the N flank of Volcán las Viboras. 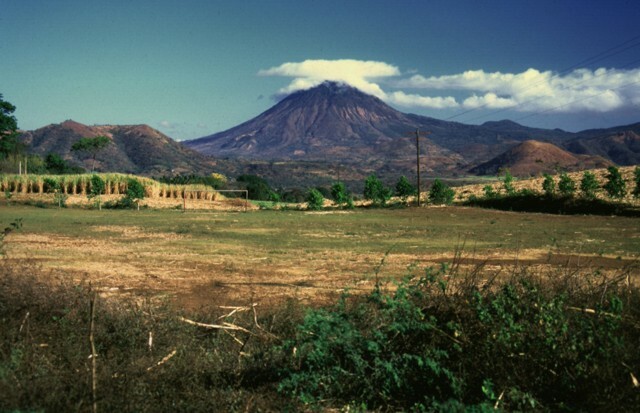 No historical eruptions are known from the Volcán Chingo volcanic field. The Global Volcanism Program is not aware of any Holocene eruptions from Chingo. If this volcano has had large eruptions (VEI >= 4) prior to 10,000 years ago, information might be found on the Chingo page in the LaMEVE (Large Magnitude Explosive Volcanic Eruptions) database, a part of the Volcano Global Risk Identification and Analysis Project (VOGRIPA). There is no Deformation History data available for Chingo. There is no Emissions History data available for Chingo. Volcán Chingo, a small, but prominent stratovolcano along the Guatemala/El Salvador border, is the second highest of a cluster of volcanoes in SE Guatemala. 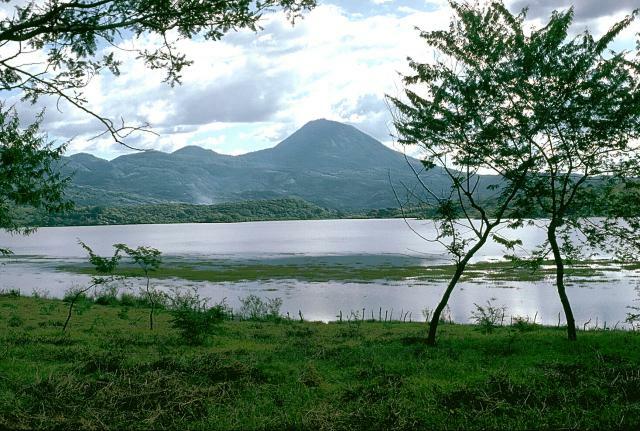 It is seen here from the Guatemalan side above Laguna Atescatempo, which was created when lava flows from the Volcán Chingo area dammed local drainages. Many youthful basaltic cinder cones are located on the flanks of the volcano on both sides of the border. The most prominent peak on the El Salvador/Guatemala border is Volcán Chingo, an isolated 1775-m-high stratovolcano. It is seen here from the SW on the shores of Laguna de Llano on the Salvadoran side of the border. Just below the right-hand horizon above and slightly to the right of the bushy tree at the right is Cerro La Olla, the southernmost of a N-S-trending chain of volcanic vents that passes through the summit of Chingo volcano into Guatemala. 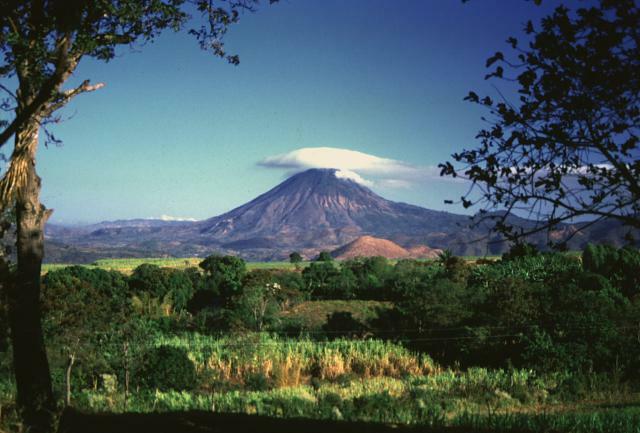 A cloudcap brushes the summit of Volcán Chingo, a prominent landmark on the Guatemala/El Salvador border. 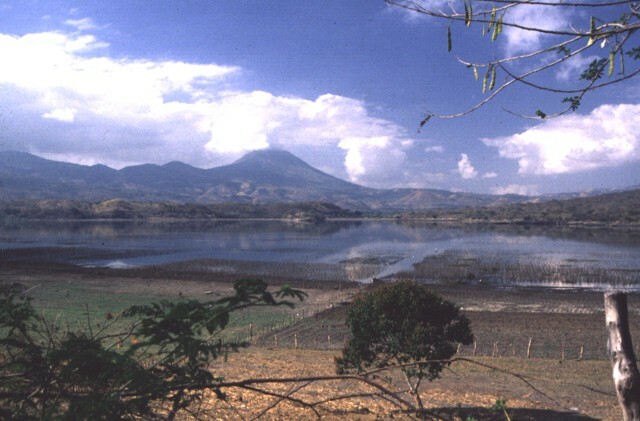 The symmetrical 1775-m-high stratovolcano is seen here from the SE on the Salvadoran side of the border. The light-brown hill below the volcano at right-center is Cerro Laguneta. Other flank vents are located on the NE side of the volcano, and a chain of N-S-trending vents extends long distances on both sides of the summit. Several youthful lava flows are found west and north of Volcán Chingo. This view of Volcán Chingo from the SE side shows several satellitic vents on the Salvadoran side of the volcano. 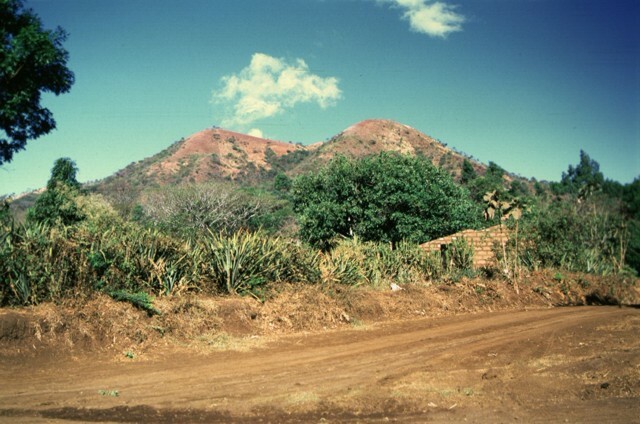 Loma Los Siete Cerros appears at the left, and the rounded cone of Cerro Laguneta at the right. The knob on the horizon above Cerro Laguneta is Volcán Las Viboras, which, like Chingo itself, straddles the Guatemala/El Salvador border and is part of a long chain of N-S-trending vents. Loma Los Siete Cerros (Peak of the Seven Hills) is a satellitic vent complex of the Volcán Chingo volcanic field. 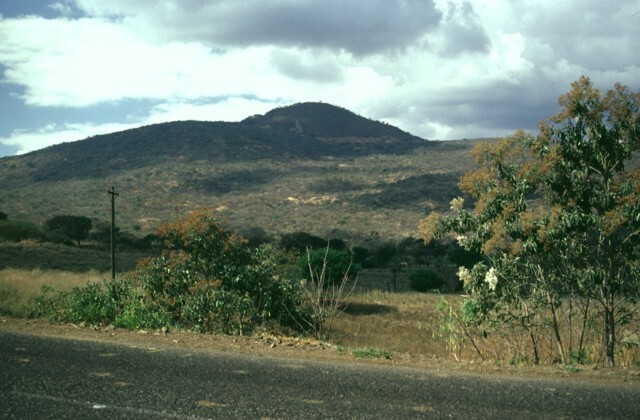 This complex of overlapping cinder cones on the Salvadoran side is seen here from the east and is one of many vents that flank the volcano. Among the youngest vents are those that produced lava flows on the NW side of the volcano in Guatemala. Other young flows issued from an intermittent chain of cones extending N-S on both side of the summit. Volcán Chingo is a prominent conical stratovolcano that straddles the Guatemala/El Salvador border. This aerial view is from the SW, the Guatemalan side of the volcano. 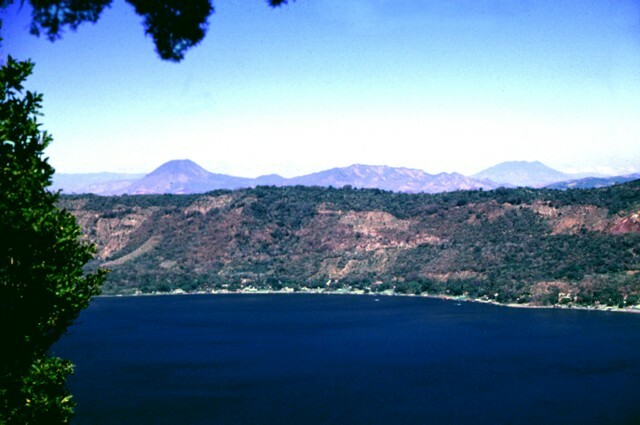 The border with El Salvador extends from the bottom-right part of the photo through Volcán Chingo to Lake Guija at the upper left corner of the photo. Cerro La Olla is one of a chain of young cinder cones erupted along a N-S-trending line on either side of Volcán Chingo. The vents are aligned with the N-S-trending Ipala graben. 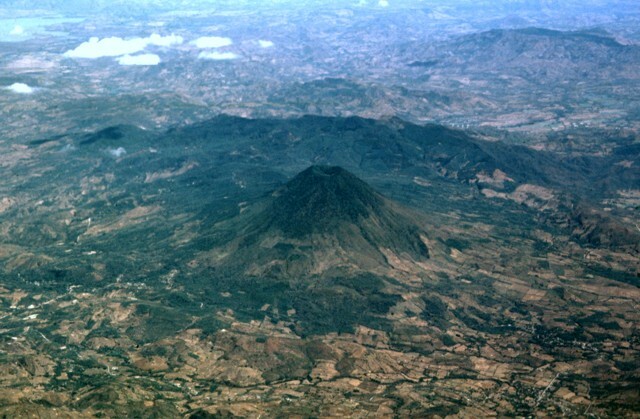 The southern vents, including Cerro La Olla, lie in El Salvador, while the northern vents, the largest of which is Volcán Las Viboras, are in Guatemala. Volcán Las Viboras, north of Volcán Chingo, is a part of the Chingo volcanic field that lies entirely within Guatemala. Las Viboras lava shield (seen here from the north) is capped by a cinder cone. Las Viboras is the largest volcanic feature formed along a fault extending north from Volcán Chingo. Youthful lava flows of estimated Holocene age were erupted along this same fault on the northern flank of Las Viboras and on the NW side of the volcano. There are no samples for Chingo in the Smithsonian's NMNH Department of Mineral Sciences Rock and Ore collection. Large Eruptions of Chingo Information about large Quaternary eruptions (VEI >= 4) is cataloged in the Large Magnitude Explosive Volcanic Eruptions (LaMEVE) database of the Volcano Global Risk Identification and Analysis Project (VOGRIPA).